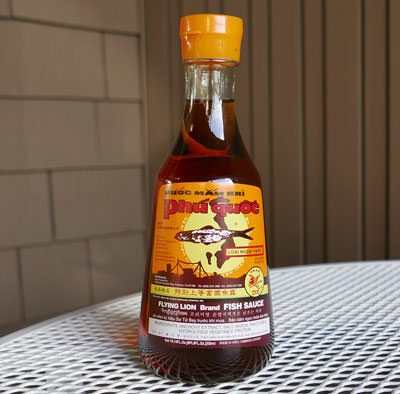 Flying Lion is the ultra-premium fish sauce manufactured by Three Crabs. It's expensive and many people swear it's worth the high cost. 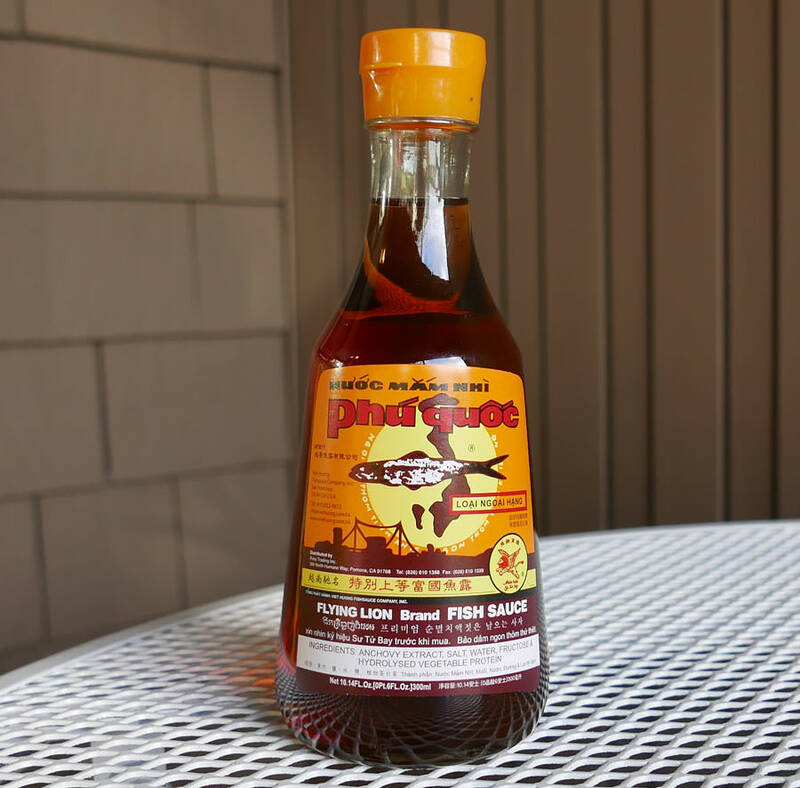 You won't find restaurants spending this much on fish sauce. According to the manufacturer, it has a smooth flavor and pleasant sweetness. It's definitely a superior product that you can use with the confidence of knowing you paid for and received the best. Packed in the new 10 oz glass bottle with convenient lid. Pull the ring the first time and it opens a hole in the center. Cap seals tightly and has a lip to easily open and close. Flying Lion is made in Hong Kong. Ingredients: anchovy extract, salt, water, fructose & hydrolyzed wheat protein.